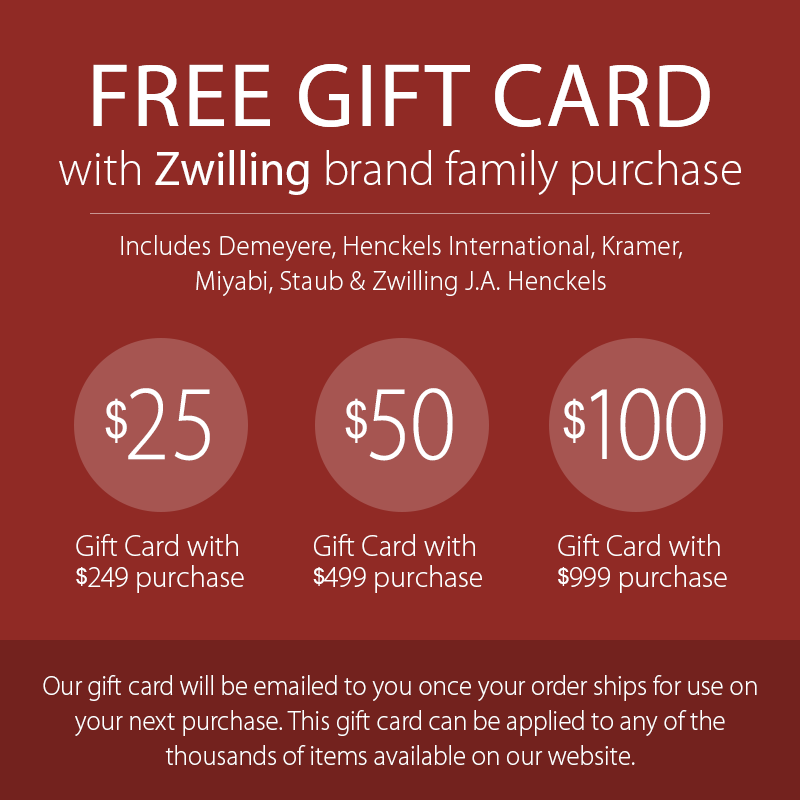 The Zwilling J.A. 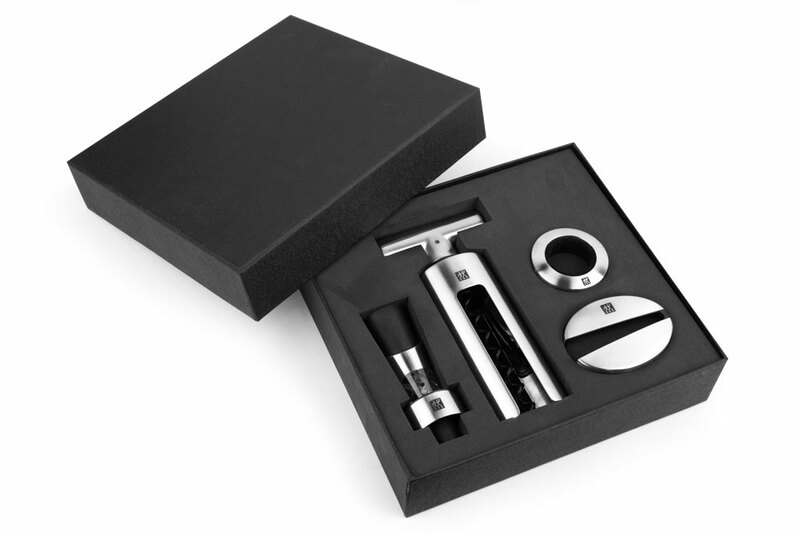 Henckels Sommelier Stainless Steel Wine Tool Set includes a foil cutter, corkscrew, decanter, and a drop ring. The foil cutter easily removes the foil from the neck of a wine bottle. Simply press the foil cutter on the top of a wine bottle and press the two semi-circular shells together so that the four cutting rings enclose the neck of the bottle. Twist the foil cutter around 360° so that it cuts through the entire foil enabling it to be removed from the neck of the bottle. Place the corkscrew on the neck of a wine bottle. 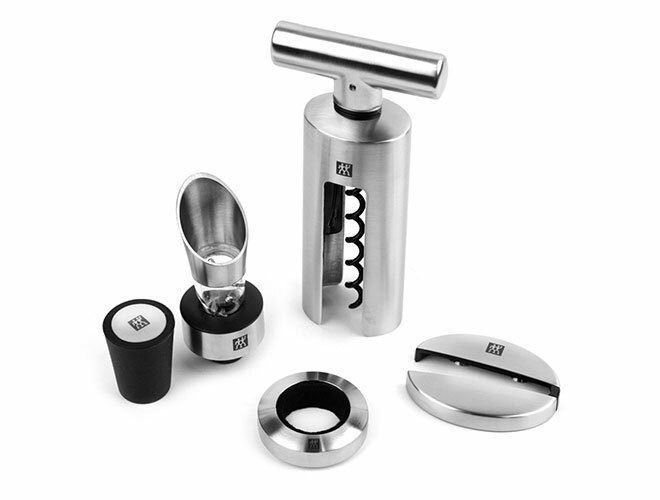 The rungs on the inner housing of the shaft ensure that the corkscrew fits firmly and securely onto the neck of the wine bottle. Turn the corkscrew, winding the spindle into the cork and simply pull up to remove. Place the decanter on an open bottle of wine. When pouring, the wine flows through the integral spiral system and is perfectly ventilated, encouraging the flavors to develop. The decanter allows for dripless pouring, while the integrated stopper fits perfectly in the bottle to give it a tight seal. To use the drop ring, simply slide the two semi-circular rings of the drop ring around the neck of the bottle. 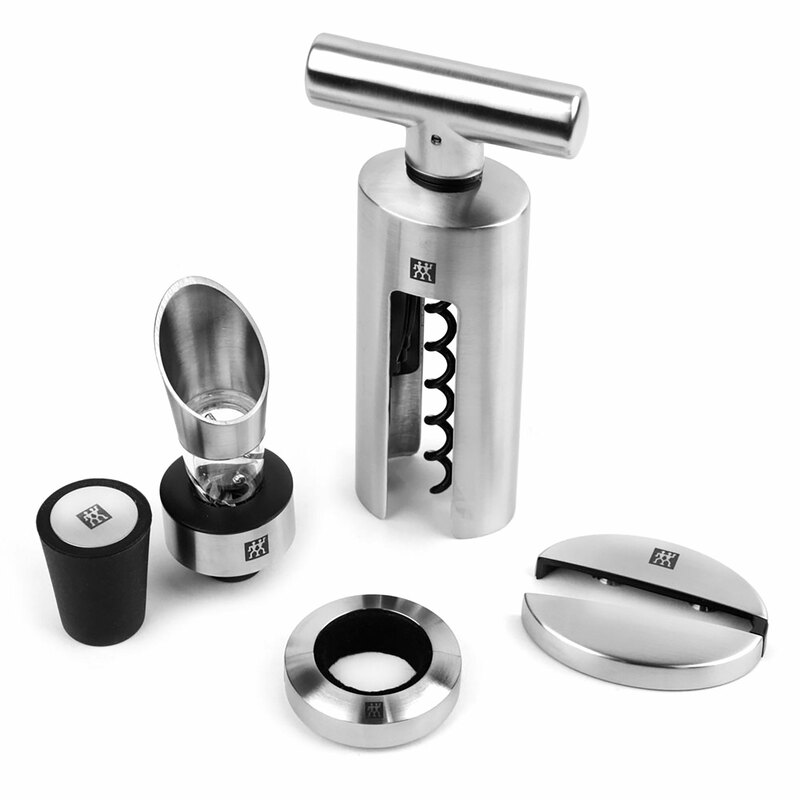 The Zwilling magnet system ensures that the drop ring quickly and conveniently fits the neck of the wine bottle. The washable black felt on the inside expertly and invisibly catches any drops of wine that may run down the neck of the bottle after pouring.